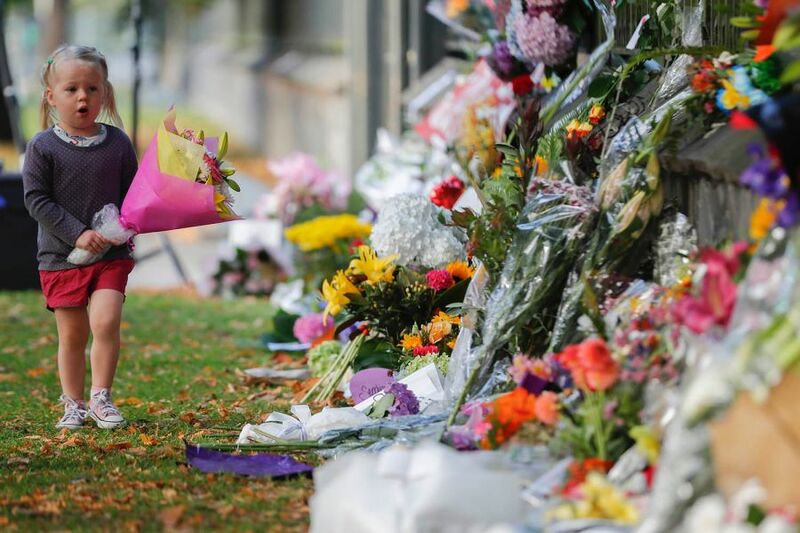 It is now old news, but nonetheless still haunting… 50 dead and another 50 injured in the deadliest modern shooting massacre in New Zealand’s history (you have to go back to 1772 to find anything similar… so much for the progressive beliefs in the essential altruistic nature of the modern human heart). Oh, and let’s not forget the vast majority of the victims were Muslims of two mosques approximately three miles apart in the city of Christchurch - those in Friday noon worship services at the Masjid Al Noor and the Linwood Islamic Centre. By now we all know the perpetrator was a 28-year old Australian man who had published a 74-page manifesto prior to his shooting spree highlighting the reasons he decided to carry out the two heinous acts (we do not place the link here to combat online copy-cats)… “to show the invaders that our lands will never be their lands, our homelands are our own and that, as long as a white man still lives, they will NEVER conquer our lands…”). Clearly a ‘white supremacist’ and ‘alt-right’ ideology driven by fear, nationalism, ethnocentrism and a delusional dread of defeat by peoples different than he. The Greenside’ modus operandi is not to write of evil and tragedy per se so as not to feed the deceitful and destructive schemes of the evil one; nevertheless, last Friday’s March 15 heinous act literally took place the day before our Saturday morning seminar on Islam… a seminar we presented to a dear northern California church we stopped in for a week to share with as we travel up the coast on furlough with the aim to build solid partnerships with all those wishing to see Unengaged and Unreached Muslim People groups reached by virtue of deployment of Latin American cross-cultural church-planters. Naturally we took the opportunity to pray for the families of the victims, state publicly our commitment to love all Muslim Peoples everywhere with the supernatural love Jesus gives us as His followers, and then shared Proverbs 17:5b, “He who rejoices at calamity will not go unpunished” to express our sadness at the response of those purportedly to have said, “Well, they got theirs finally, didn’t they” (I was encouraged to share this verse by one concerned at what they had recently heard). Tragedies like this ought to call us to a renewed passion for seeing Muslims come to Jesus as the One and Only Savior and Redeemer for their sin, guilt and shame knowing that without ‘the new birth from above’ through the Spirit in Jesus’ name there can be no hope for eternal life. Reflecting on the Matthew 5:43-48 passage above serves to introduce this brief reflection reminding us of the radical ‘Kingdom of God’ call Jesus places on all desiring to be known as children of our Father in heaven, inviting us to then contemplate that deep well of love our Father has for us in “that while we were still sinners, Christ died for us” (Romans 5:8). The words of Matthew 5:45, “He causes his sun to rise on the evil and the good, and sends rain on the righteous and unrighteous” likewise serve us to muse at just how great a love the Father actually has for us, forgetting not the undeserved mercy and grace He shows each one of us. Furthermore, as I pondered the gunman’s ideology I was struck with the possessive rhetorical nature of his erred verbiage… “our lands,” “our homelands are our own” and “our lands.” The fact is those lands were occupied centuries earlier by non-white indigenous New Zealanders who were principally Polynesian peoples such as the Māori or, as in the case of the gunman’s beloved Australia, the Dharawai tribes of which were the Gweagal who opposed the conquest of Lieutenant James Cook which essentially paved the way for European settlement of the region by force during the 18th century [Briscoe, Gordon and Len Smith, eds., 2002, "How many people had lived in Australia before it was annexed by the English in 1788?" In The Aboriginal Population Revisited: 70,000 years to the present, Canberra, Aboriginal Studies Press]. So in reality this white supremest terrorist was mistaken to think New Zealand and Australia were originally his land to begin with. I do not wish to minimize the demonic wickedness of the entire affair; killing people indiscriminately is cruel and satanic-driven on all accounts. However, I do wish to draw attention to how erred thinking can often result in cataclysmic irreparable conclusions. How many more fatal errors around the world are made with such possessive insistence on “our lands?” There is such a myopia when ownership and possession becomes the standard for godless behavior. I submit here this is precisely why Jesus owned no land, did not speak or teach regarding “the land” (interesting in light of the emphasis on ‘land’ in the Old Testament) nor called for insurrection to throw the tyrannical Romans off Jewish land, but rather chose to speak of the radical message of the Kingdom of God wherever He went, calling all to live lives beneath the sovereignty of God as owner of it all. Might we not resolve again ourselves, today, to love those who are forgotten, abandoned and discarded, especially those who have been unjustly treated from a myopia that leaves nothing but irreparable damage? Can we remember to pray for Muslims everywhere, every Friday noon wherever we are, that God will give visions and dreams to them of the Redeemer and His redemptive plan as they kneel on their mats in our neighborhoods? Likewise, we invite all to join us in praying daily for the Unengaged and Unreached each and every day (https://www.planpte.org/what-you-can-do.html). ​The weapons we fight with are not the weapons of the world. On the contrary, they have divine power to demolish strongholds. We demolish arguments and every pretension that sets itself up against the knowledge of God, and we take captive every thought to make it obedient to Christ.